David Goodson, who is the new boss of Savills in Peterborough. A leading commercial agents in Peterborough is ringing the changes in the wake of its takeover of a rival firm. Savills, which has offices in Trinity Court, Trinity Street, acquired competitors Smiths Gore earlier this year. It is understood that Savills paid £40 million to buy Smiths Gore in April with a view to expanding its rural division expertise. Now Savills, which has seen staff numbers rise from 25 to more than 110 since the takeover, has announced that the Peterborough office will be led by David Goodson. The change means that Paul Farrow, who previously headed its offices prior to the merger, will support Mr Goodson in the new role. The company says Mr Farrow will stay as a key part of the management team and maintain his agency role in the region. 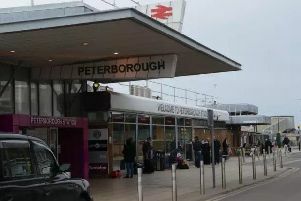 Mr Goodson, who has more than 23 in the industry specialising in estate and strategic asset management in the rural sector, said: “Peterborough is a strong regional office that provides a multi-disciplined service for clients, which has been further boosted by the integration of Smiths Gore. Mr Farrow said: “I have thoroughly enjoyed my time as head of Peterborough and am proud of its growth and success over the last eight years.